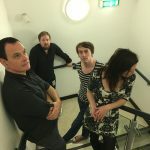 If you haven’t been keeping an eye on the continuous production of great singles from WIAIWYA, then hopefully you’ll turn your head with the latest, a split covers 7″ from the Wedding Present and Cinerama; they cover The Clash and ABBA…though is it really a split if David Gedge is behind both? Whatever. The ABBA cover streaming below is fairly gentle, much like the original tune; I always appreciate the prettier, more delicate, side of Gedge, which is how I’ve always come to think about Cinerama. The single comes out the first week of November, and then we’ll be able to talk about what a great job Gedge did with the Clash I expect. Felt like George Best is a long lost gem, and while they toured this album, they didn’t bring it to Austin (sad face); it would have been a delight to hear The Wedding Present play George Best in its entirety. And now we have news that Steve Albini has re-recorded the band’s heralded album as the record turns 30. The band, who were already working with Steve, recorded the whole thing live in the studio, and you can sample the reworking below. Look for the GB30 to be released via HHBTM on September 22nd. Also…on a side note, you should watch the George Best documentary. I’m not sure where we draw the line at nostalgia. For the Wedding Present, their Bizarro tour garnered tons of press, but when they kept going with more new music, never skipping a beat, folks just turned a deaf ear. It’s sad, as they sound bigger and better than ever. I mean, if I were to ever have a complaint, which I don’t, it might be that some of their earliest LPs didn’t have the same quality production their new stuff does. David Gedge has such magnificent control of his voice, as you’ll hear in this song, particularly during the chorus. 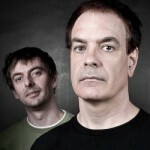 Put the past behind you, and enjoy the fact that the Wedding Present are as good, if not greater, than they ever were. Their latest LP, Going Going, will be out later this year via HHBTM. 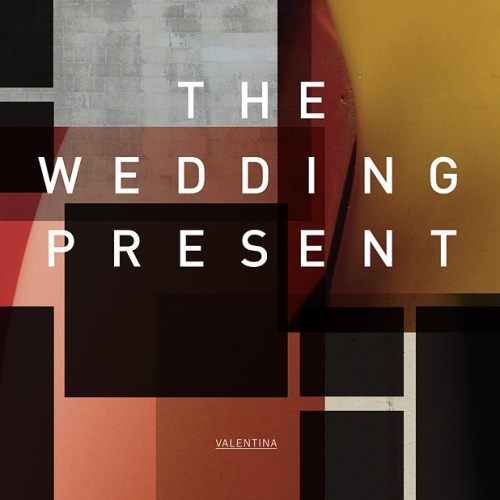 If you’ve been paying attention out there, you knew that Going Going, the newest album from The Wedding Present, was making its way to US shores. That’s important, as HHBTM Records will be releasing it here, but it’s also important to the narrative of the album, as the 20 songs were all written or based off a US road trip. Plus, each song is accompanied by a short film, which hopefully documents the trip itself. But, we’ll have to wait until November 18th to see, though in the meantime, jam this just released tune! It’s titled “Two Bridges,” which if you listen to the track below seems to be two wholly different bridges. Listen and find out why I say that. There’s a Brand New Wedding Present Album!!! Ok, so this just completely made my day yesterday, and still carries that euphoria into today. I’ll go out on a limb and say that David Gedge is one of my favorite songwriters, whether in Cinerama, or in this case, The Wedding Present. I think he’s one of the most well-loved, overlooked songwriters around; he’s been doing it longer than most…and still is vital. They’ve just upped this video, which may or may not be part of the important visual aspect Gedge and co. are working into this album (read about that HERE). Regardless, this tune is wonderful, and his voice really sounds incredible. Probably going to play this song a hundred times today…you should too. It’s off the group’s new record, Going, Going, which will be out on September 2. 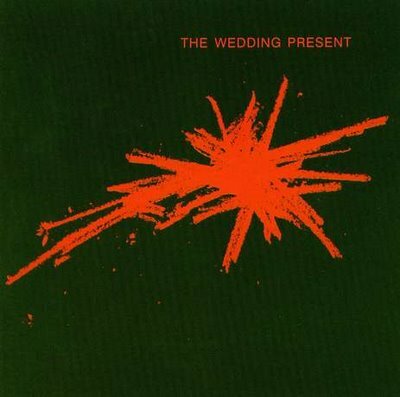 I wish more people would talk about the Wedding Present. David Gedge has long been a favorite of mine, and sometimes I feel like he slips under the radar. 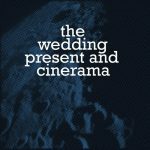 But, he’s reviving one of his other projects, Cinerama, to spin the song’s from The Wedding Present’s last album, Valentina, in an entirely different manner. Part of it is endearing, part of it is hilarious; it sounds like David’s doing his best Tom Jones impression…and it’s a damn good one. Gadgets voice will always have a special place in my heart. Listen below so you can compare and contrast the two versions before we get to hear it all reimagined; should be out this month. DC’s Lorelei have a somewhat storied past, though it seems more steeped in the history of their label, Slumberland Records, since the band only released one LP during their time. But, they’re back with their second LP, Enterprising Sidewalks; it’s interesting, as the record feels a bit like it has a more modern influence than their previous release(s). Lets take a look. The first song that stuck out to me was “Majority Stakes,” the second track on the record. When it begins, the vocals are draped neatly over a distant drum roll, giving off a haunting mood, but as it progresses it blasts off into what I would deem Interpol territory. I know Paul Banks came later in life, but I swear he’s the one singing this tune. Still, the ringing guitar makes it a solid jam, though it might carry on a bit too long. The inherent darkness subsides a bit when you move into the next song, “Wound Up.” While I’m not overly sold on the vocal (it sounds a bit flat to me), I can’t get over the way the words wrap around the guitar lines. There’s something classic about the way Matthew Dingee plays guitar, and it’s executed perfectly here, demonstrating why the band’s name has made it this far. As I spend more time with Lorelei, I realize that the band’s really a guitar based band. In listening to a song like “Sorry for the Patience,” you can tell that the time spent writing the track revolved around the guitar. I’d kill for more songs to sound like the opening twenty seconds with that bright angular guitar ringing in the foreground. I guess it’s the group pushing songs a bit too far that sometimes gets me, but their more concise songs are worthy of repeated listens. Another song that really gets me is “Dismissal Conversation.” There’s a trickling guitar meandering in from the beginning, but it takes a step to the side for spoken word lyrics to break out, but they wrap it up neatly, giving you a succinct example of the talents they have in their hands. I’ve spent several hours with Enterprising Sidewalks, and there’s something just a bit off, for me. I love the fact that the group combines elements of bands like The Wedding Present and Interpol, which would normally make them a shoo-in for one of my favorite groups, but what is that thing that’s amiss? As I’ve tried to figure it out, I’ve come to the realization that it could be one of two things, or perhaps both. The vocals often sound flat, and don’t always seem to fit in with the feeling of the songs. But, the songs also carry on a bit too long for me. Only one song goes under the 4 minute mark, and that’s my favorite one. I guess I just feel like they’re trying to fit too much into a limited space. In the end, I like the record, and I know I’ll listen to it for times to come, but I’m not entirely sold on the group’s complete return to form. 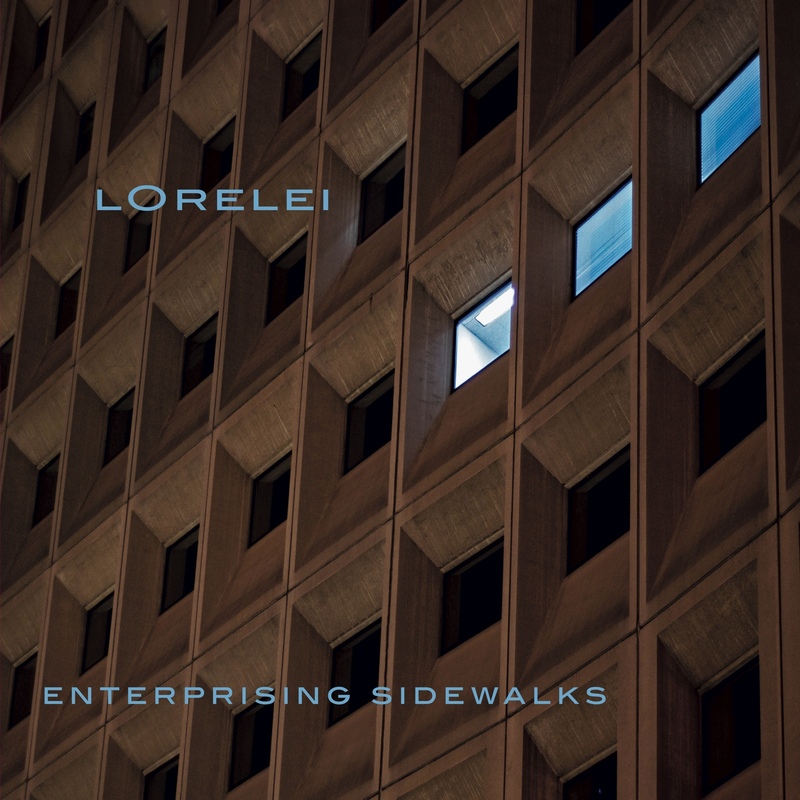 In time, I reckon Enterprising Sidewalks will grow on old fans, but they’ve got a little work to do in order to completely win over fans who are just now getting to meet Lorelei. Eight albums into their career, or into the career of David Gedge, The Wedding Present are still just as strong as ever. 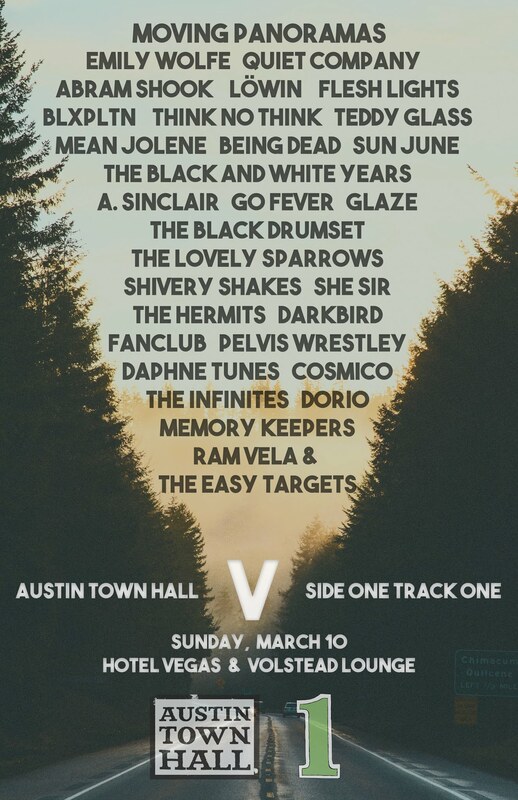 Gedge may not be one of the household names, but his band is well-regarded in most circles; Valentina is an album that will definitely sustain that status, and might even build a bit upon it. In the end, who really cares as long as he’s still making great music. “You’re Dead” begins the 8th studio recording with the formulaic drive that’s led me to fall head over heels in love with The Wedding Present; it begins with a quiet build-up, then blasts away during the chorus, giving us the loud element, then returning. It’s back and forth, with Gedge’s discordant guitar ringing as loud as ever. What long time fans, and hopefully new ones, will adore is that his playful songwriting is still intact, including this song’s (and album’s) best lyric: “you appall me/okay, call me.” Who says loud rock songs can’t be fun? There’s a bit of a reservedness in Gedge’s writing this round, though the last while has seen him dabbling in such waters (Cinerama especially). “Meet Cute” definitely isn’t a reserved quiet song, as the guitar’s do unleash that brash forcefulness I love, but something about it shows a bit more thoughtfulness in delivery of the vocals. It’s interesting; the music is as loud as its ever been, but the lyrical content has the lovelorn DG at his best, providing what some might deem simple relationship wisdom–personally no one does it better! Valentina still packs the punch you expect from a Wedding Present effort. “Back a Bit..Stop” rings in your ears with that angular guitar playing from the moment you press play on the track. This is the first time, too, that I really noticed the remarkable drumming on a Gedge album (not saying it’s ever been bad). Charles Layton pounds away to perfection, completing the band’s sound like you haven’t heard before. It’s definitely an added bonus to the entire listening experience. 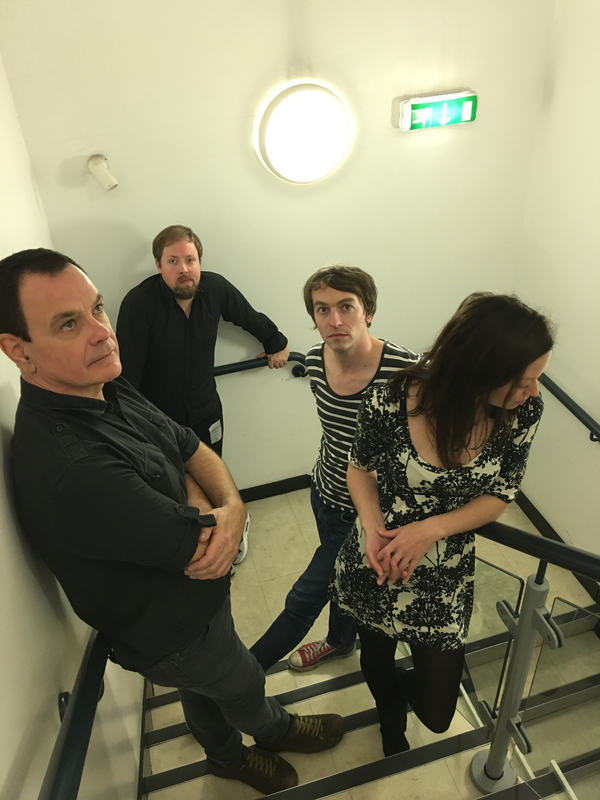 Perhaps the most remarkable thing about the current Wedding Present line-up is how dynamic the group sounds. Pepe le Moko’s female vocals, which Gedge has used in the past, still give an extra level to the sonic style of the group. “Fidelio” is one such track where her playful backing vocals give an extra flourish to Valentina. And of course, the quartet still has those long burners that you adore, such as “Mystery Date” or “Dear Caught in the Headlights,” the former being one of the slowest burners you’ll find in David’s catalogue. It would be interesting to see where they would all be now if the current line-up had started things initially. The Wedding Present is perhaps one of my favorite groups, period. Their songs appeal to me on the musical and lyrical level, which isn’t something I always get nowadays. Sure, not every song here is a definite stand-out, but every single one is better (to me) than most of the other music that’s currently out there. Valentina just proves what we all knew all along: David Gedge is simply incredible, and we should all be thankful he doesn’t seem interested in going away any time soon.